'Best seller'! 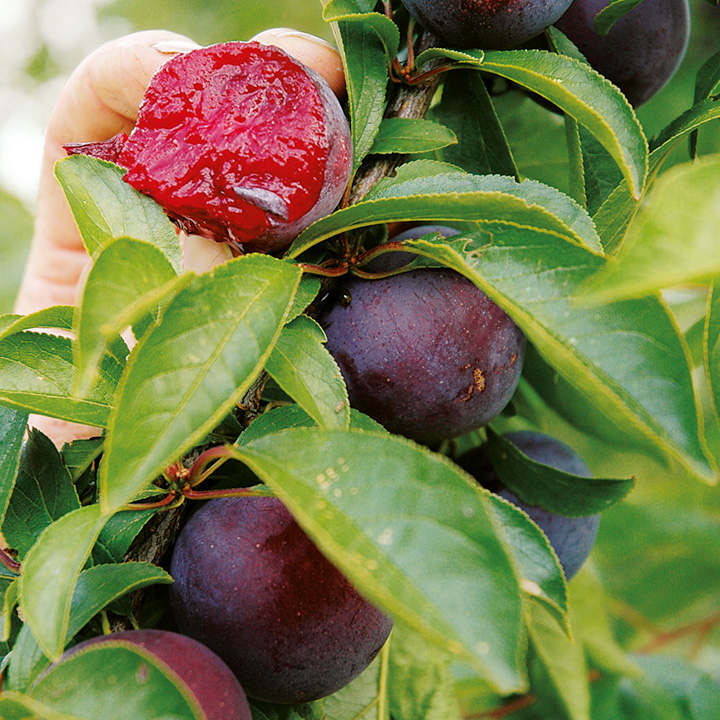 A wonderful 'asian' plum, which is very different from other varieties. 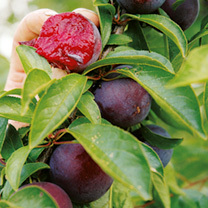 It's very early - pick in mid July - and gives a huge crop of purple fruits. But it's the taste and texture that's really different - you will get an explosion of juice and candy-like sweetness with very little acidity. Trees are easy to grow and self-fertile. Our trial trees were in bloom in January and withstood 4° of frost! Grown on St Julien A rootstock which is semi-dwarfing, providing a medium sized tree of 4m after 10 years. Pollination group 4.